England head coach Phil Neville admits it's going to be "very difficult" to cut players from the squad that beat Spain 2–1 ahead of the World Cup in June. Neville is in no rush to name his squad but he's already suggested it will happen before England step out to face Denmark in Walsall after the domestic season has ended next month. England responded to its underwhelming defeat to Canada with a 2–1 victory against Jorge Vilda's Spain in front of 13,000 supporters in Swindon. Goals either side of the break from Beth Mead and Ellen White were enough to record the win but Aitana Bonmatí's goal from close range ensured a tense finale on a night in which Spain once again dominated possession. Despite the 0-1 loss, and England's second home loss in a row, head coach Phil Neville declared himself "happy" after the match. Christine Sinclair scored the game-winner, her 180th international goal, five shy of breaking Abby Wambach's all-time record for goal by either a man or woman. 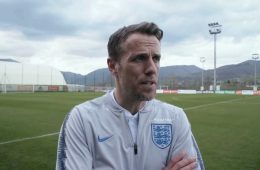 Phil Neville says seeing the anger on some of his player's faces after naming his side to face Canada on Friday was "fantastic" as competition for places in the England squad heats up. 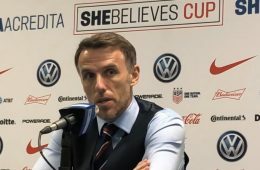 Neville named a 25-player squad with several players who missed last month's SheBelieves Cup success returning in addition to the same players who traveled to the United States. With Neville aiming to give minutes to players who need them over the coming games against Canada and then Spain on Tuesday night, he admits there was some disappointment and anger when he named his starting 11 on Thursday morning. England head coach Phil Neville has called on FA Women’s Super League (FA WSL) clubs to “open their stadiums” after Juventus and Atlético Madrid welcomed record-breaking numbers of fans to recent league games against Barcelona and Fiorentina, respectively. Questions abound for several teams heading into the 2019 World Cup and England is no different. 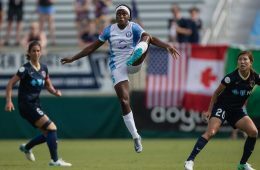 Ahead of the 2019 SheBelieves Cup, Richard Laverty takes a look at the pieces — the who and what — need to fall into place in the lead-up to the World Cup.